Depending on the type of train and its freight, trains travel at an average speed of 50 mph to over 100 mph, making any accident involving a train particularly dangerous to passengers and bystanders. In fact, according to the Federal Railroad Administration Office of Safety Analysis, over 600 people were killed in the United States alone and thousands more injured as a result of train accidents in 2011. For the families of those killed and the people who were traumatically injured in a train accident, the repercussions can be unimaginable and unforgettable. At The Winston Law Firm, our Fort Lauderdale railroad crossing accident lawyers want to help you to pursue the financial compensation that you may be due for your medical bills, vehicle repairs, and other damages as a victim of a train wreck. 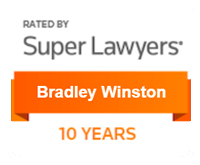 Contact us by calling [phone-number] to receive a case evaluation from our experienced attorneys today. No matter what type of accident caused your suffering, if another person’s negligence was the cause, you deserve a qualified attorney who will provide you with personalized attention and support you every step of the way. If you have been hurt in a crash involving a train, it is important to ensure that you are properly advised of your legal rights and options. 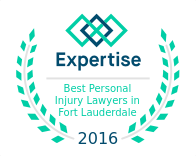 Contact the Fort Lauderdale train accident attorneys of The Winston Law Firm at (954) 475-9666 to learn more.